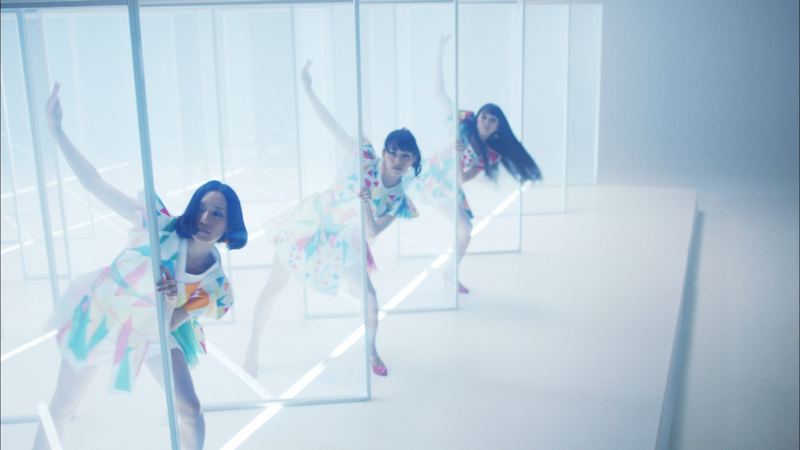 The music video for “1mm” depicts Perfume singing while enclosed in colorfully illuminated partitions. 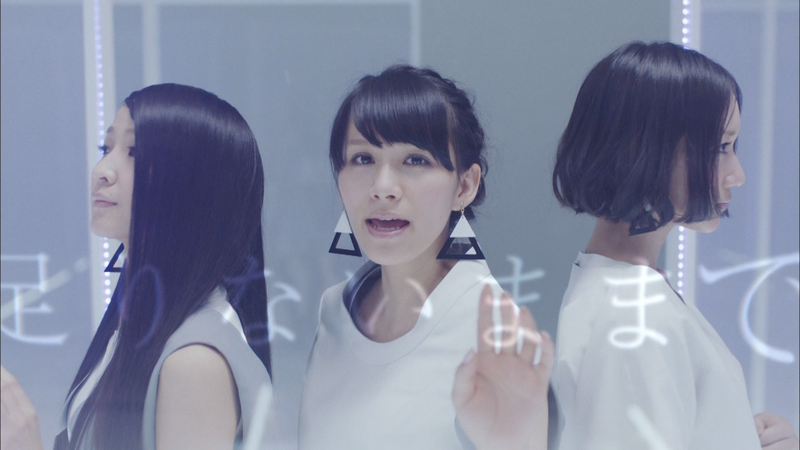 The partitions were made of a special transparent acrylic that glowed when light was projected from the sides. 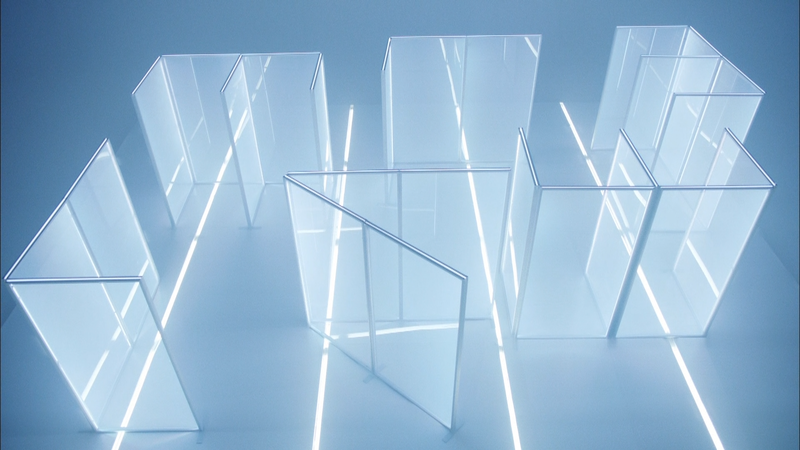 LEDs were embedded into the panel frames to orchestrate a diverse spectrum of color and light.